The Lake Winnipeg Community-Based Monitoring Network (LWCBMN) was launched in fall 2015. 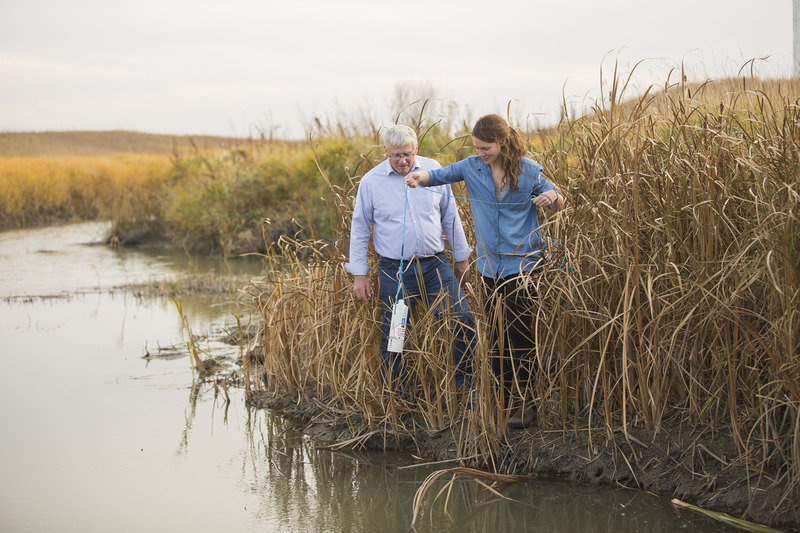 Supported by LWF’s Science Advisory Council, this growing network engages citizen volunteers to collect water samples across Manitoba using scientifically vetted protocols. Samples are then analyzed in a lab to measure phosphorus concentration and calculate the amount of phosphorus begin exported off our landscapes. While Lake Winnipeg receives its water from a vast watershed, not all areas of the watershed contribute equal amounts of phosphorus. By sampling frequently at many sites, LWCBMN is able to pinpoint phosphorus hotspots – areas that contribute a disproportionate amount of phosphorus to Lake Winnipeg. Snow melts, floods and heavy rainfall events are responsible for most of the phosphorus that is flushed from the land into our waterways. Special care is taken by network staff and volunteers to ensure phosphorus runoff is captured during these high-water events. And, because these volunteers live, work or commute near their sampling sites, LWCBMN can quickly mobilize citizen scientists to collect samples when it matters most. If you’re interested in volunteering with LWCBMN, email cbm@lakewinnipegfoundation.org or call 204 956-0436. LWCBMN data can be used by conservation districts, land managers and other decision-makers to more effectively target resources in phosphorus hotspots in order to get the best bang for our buck when it comes to phosphorus reduction. Data can also be used to supplement and enrich existing federal and provincial data sets, deepen our understanding of water-quality trends, and monitor the impact of on-the-ground phosphorus-reduction and water-retention initiatives. Multiple years of LWCBMN data are needed to identify trends over time and ensure we aren’t being misled by annual variation. All network partners are committed to expanding the network to build a multi-year data set for southern Manitoba. LWCBMN is already demonstrating the value of citizen-generated data. The network has identified high spatial variation in phosphorus exports between sampling sites – even sites that are side by side. LWCBMN is also reporting some of the highest phosphorus exports that have ever been reported in Manitoba.